Robust financial controls and effective governance mechanisms are essential tools in preventing corruption. As a recently released ICAC investigation report demonstrates, failures in these areas can facilitate corruption on an overwhelming scale. In July, the ICAC released its findings concerning allegations that the chief financial officer (CFO) of the now amalgamated City of Botany Bay Council was misusing council funds and resources. The ICAC found that over $6.6 million had been misappropriated from the council between 2009 and 2015 and there had been widespread misuse of Cabcharge, credit and fuel-charge cards, mobile telephones, vehicles and other council resources. Findings were made against the former CFO, deputy general manager, a team leader and a clerical assistant. Such overwhelming corruption was possible, in large part, because the council lacked fundamental controls over its financial operations. Procurement was ad hoc with little oversight, invoices were paid without supporting documentation or independent review, and new vendors were added to the payment system without checks being conducted or independently verified. In fact, a few select staff in the finance division had complete end-to-end control over the entire accounts payable function, as well as having sole direct access to the council’s financial system; a situation that granted them extraordinary control over expenditure while preventing others from monitoring it. The system provided enormous freedom to misappropriate council funds and resources with little threat of detection. Such a combination of lax or absent controls was not questioned because, in part, many staff in senior and high-risk positions, including the CFO, lacked appropriate qualifications or experience. They were, therefore, willing to accept the ad hoc and informal arrangements as normal because they had little understanding of what constituted good practice. The ICAC investigation raised questions about the effectiveness of the oversight of the local government sector. The elected bodies of councils are ultimately charged with the governance of their administrations, but they are limited in their ability to do so. Councillors, for example, may not be able to access independent information to assess the governance of the administration and may not have the skills or be appropriately incentivised to ensure high standards of governance are achieved. Similarly, while the Office of Local Government (OLG) can intervene to improve a council’s administration, the OLG is limited in its ability to detect and/or address maladministration. While the Audit Office of NSW has now taken charge of the external audits of local government, thereby ensuring a high minimum audit standard and facilitating the detection of control failure, in its report the ICAC recommended that the NSW Government consider bringing the standard of assurance of the state’s local government sector up to that of the state government. 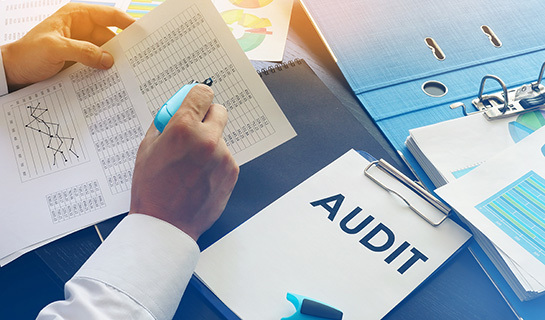 a requirement that general managers attest regularly that audit committees are operating in accordance with their obligations. The ICAC’s report, Investigation into the conduct of the former City of Botany Bay chief financial officer and others, demonstrates the importance of robust financial controls and effective governance mechanisms. Without these structures in place and operating effectively, organisations are exceptionally vulnerable to large-scale, serious and systemic corruption.